In view of the stand-off, Home Minister R R Patil reportedly suggested the decision be referred to a sub-committee, but he was overruled. Other NCP ministers supported Medical Education Minister Dr Vijaykumar Gavit’s proposal. 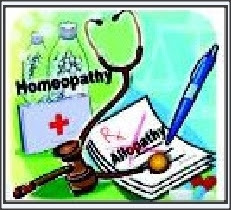 The decision will benefit 62,000 homeopathic doctors in the state. Meanwhile, the Indian Medical Association (IMA) and Maharashtra Association Resident Doctors (MARD) are opposing the decision. “MBBS doctors put in years of hard work. Here, the government is allowing doctors to practice the same thing after just one year. This decision has been taken due to the vested interests of ministers, as many own homeopathic colleges,” said Dr Dilip Sarda, state president, IMA.